PERRY HOMES NEW CONSTRUCTION READY FOR MOVE-IN! 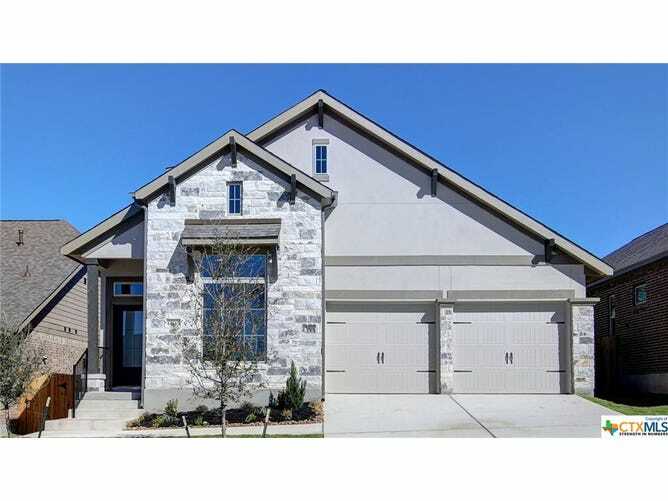 Library with French doors and storage closet set at the entry of this Perry Homes plan. Family room with ceramic tile floor opens to dining room and kitchen. Kitchen features an island with built-in seating space and a walk-in pantry. Master bath features dual sinks, corner garden tub, a separate glass enclosed shower, and a large walk-in closet. Covered backyard patio. Mud room just off two-car garage.